Every cat person knows, as do many others, that cats possess mysterious mental and communicative abilities that defy human understanding and stagger human imagination. But can two cats who make up their minds to sabotage the presidential campaign of a conniving, villainous and extremely wealthy United States senator even have a chance of succeeding? As soon as you meet Napoleon and Mr. Grover, the feline protagonists of this hilarious and heartwarming novel, you’ll know the answer. 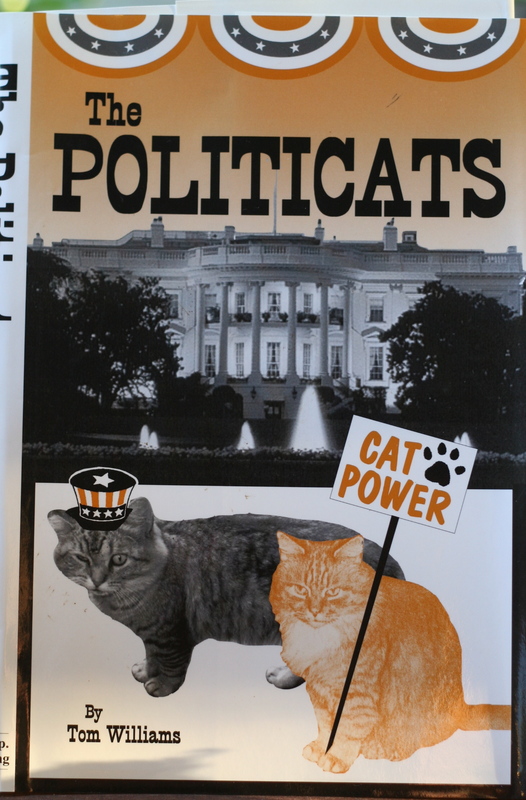 The Politicats – regular price $9.50, marked down to $7.50 during our Summer Book Sale! 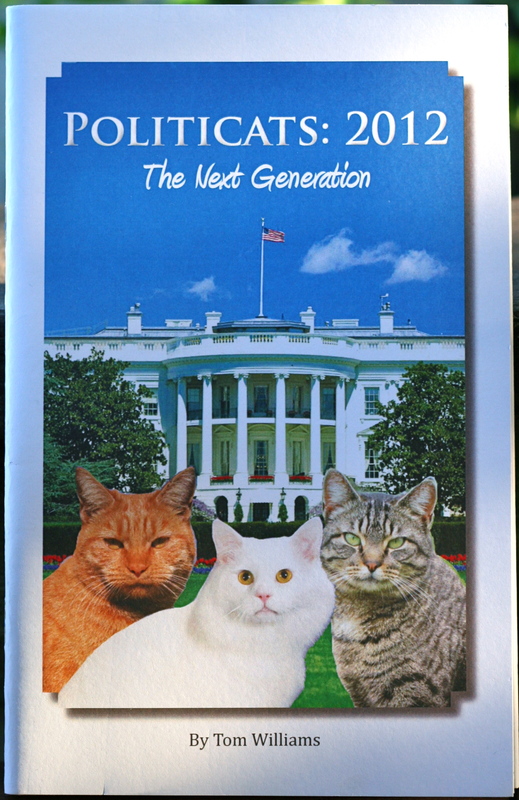 As The Politicats book ended with a clear victory of Napoleon and Mr. Grover over the evil Senator Desmond Durth during the 2000 presidential campaign, three kittens were born to Becky Goodfellow’s beautiful white cat, Victoria. A lot of has happened since then, and now the kittens have grown up and face an election challenge all their own as the 2012 presidential election approaches. Can they handle it with the cleverness of their ancestors? You’ll find the answers in this book! How does a kitten become a cat? It learns from its mother. It learns from experience (often the hard way). It learns from humans. And sometimes, though very, very rarely, it learns from an older cat friend. Timothy, a solid black kitten, was one of four siblings in his mother’s third and final litter. Timothy’s mother, after doing a good job or raising the kittens in her previous litters, disappeared. So did Timothy’s three siblings. And so Timothy was pretty much on his own while he was a kitten. But he found a friend. 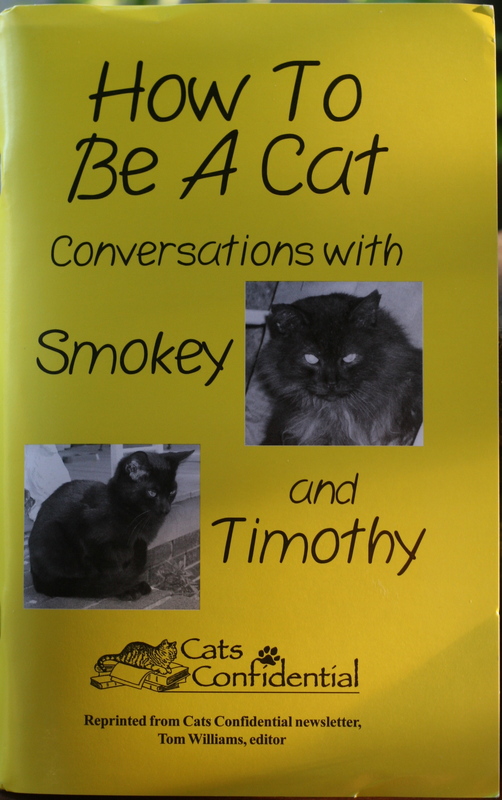 An elderly dark gray cat named Smokey, who himself had come to the Grey Rocks Cat Santuary as a young cat barely out of kittenhood. Remarkably he formed a real attachment for Timothy, the little black kitten who wanted so badly to be his friend. The two were always together, and we know they were communicating about the subject of how to be a cat. We reported their conversations in every issue of our newsletter, and so popular were these features that we have had many requests to compile them into a book. Now we have done so. Regular price, $9.50, marked down to $7.50 during the Summer Book Sale! Why God Gave Us Cats? It is certainly possible that the title of this book oversteps political bounds. If you happen to be an atheist or an agnostic or believe in a god other than those worshiped in the dominant religions of the world, please don’t assume this booklet is not for you. This is the book for you. This book is for everyone who loves cats. Its point is that the cat — the one we call a house cat or a domesticated cat–was a gift to humankind, and a gift that benefits us all. However this gift may have come about, the cat has proven itself to be a unique and worthy addition to the world and this book will examine a few of the many, many reasons why. 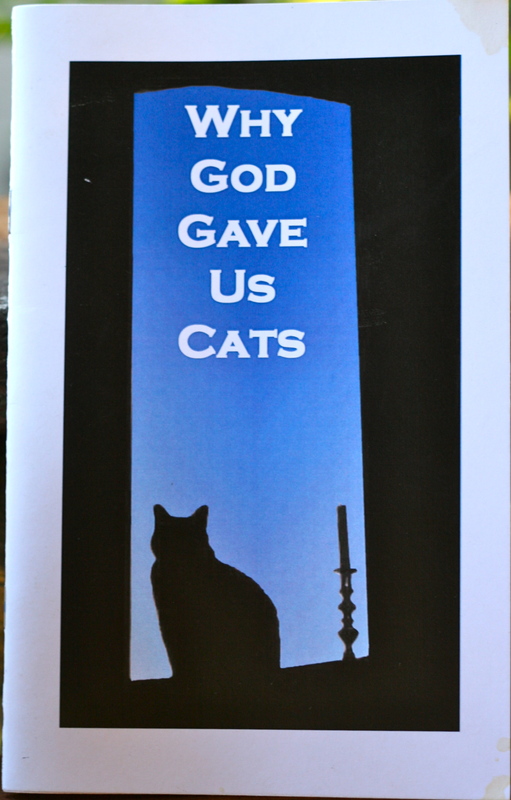 Why God Gave Us Cats – regular price, $9.50. Marked down to $7.50 during our summer book sale.